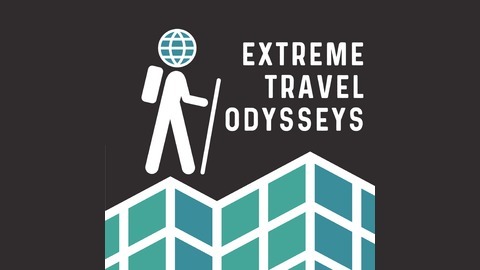 Extreme Travel Odysseys tells the stories of adventurers whose journeys are in some way offbeat, creative, unique, or never-ending. 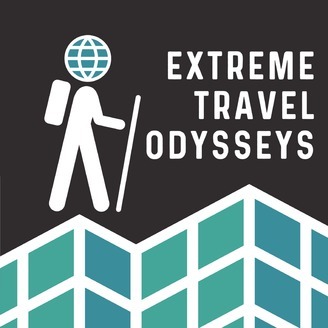 From full-time travel writers to those on sabbatical to those just wandering around, this podcast will inspire, inform, and show you that you don't have to climb Everest or even go to a foreign country to have an odyssey. You might pick up some travel hacks along the way, and you might just learn that even average people can take extraordinary trips. You probably won't hear the term "bucket list" since the subjects in our interviews don't look at world as a finite set of places to see. The journey is itself the goal, and it is never-ending. How do you survive in a desert town that has a record high temperature of 117F? You go into hiding, literally. The mining town of Coober Pedy, Australia uses the dirt for both their livelihood and their lives. CNET Senior Editor Claire Reilly visited recently as part of her web site's "Road Trip 2018" series. She joins the show to discuss her venture into one community's existence in the subterranean Outback!